You are currently browsing the tag archive for the ‘Magdalen’ tag. 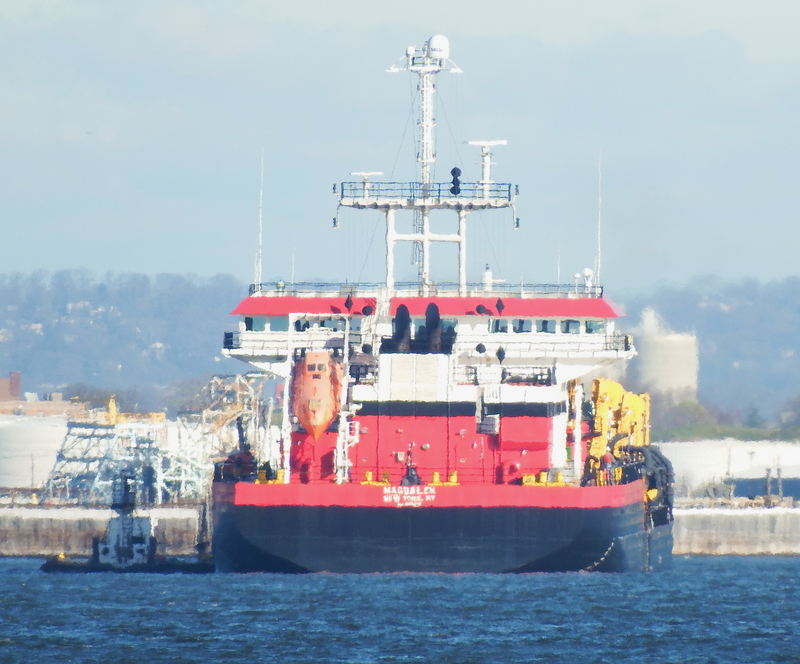 Imagine my excitement the other day when I caught Weeks newest trailing suction hopper dredge (TSHD) come briefly into the sixth boro, likely for fuel or gear. I believe she’s working along the Jersey shore. 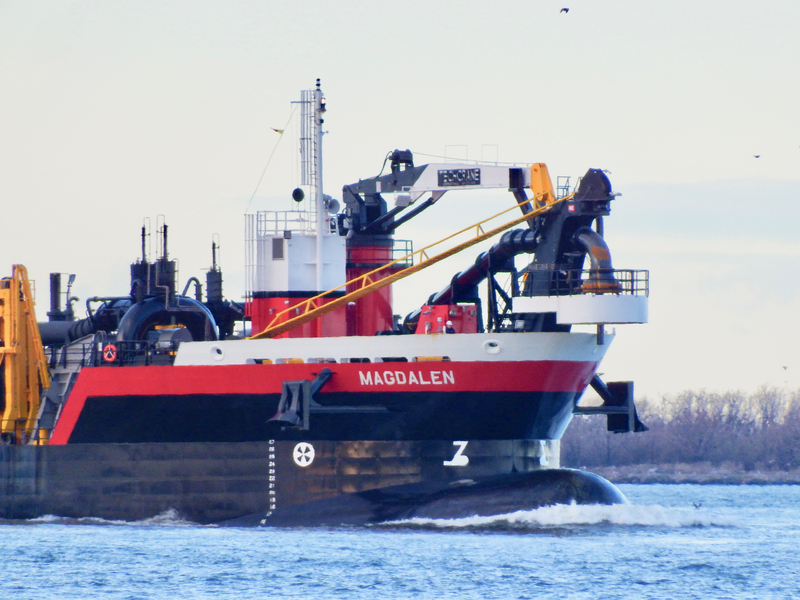 Magdalen, named for Chairman Weeks’ mother, is big: 356′ x 80′ with a loaded draft of 25.3′ with hopper capacity of 8550 cubic yards of dredge spoils. 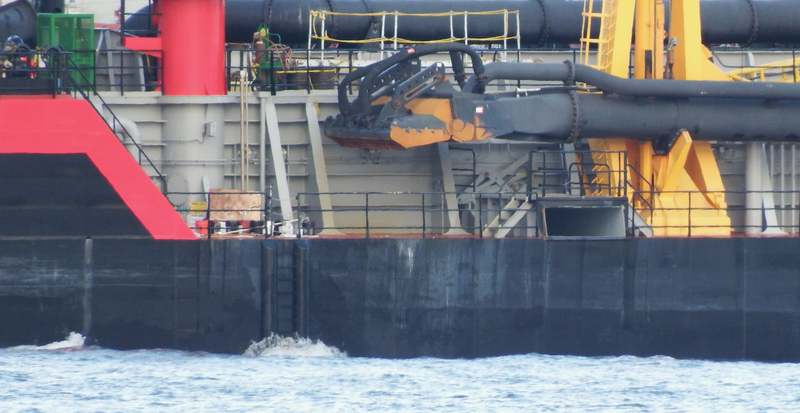 A comparison could be made with TSHD Ocean Traverse Nord with capacity of 1543 cubic yards. For all the specs, click here and go to page 13 of the Weeks Winter 2017 Newsletter. 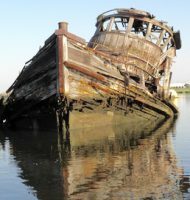 Her first project was in North Carolina in January 2018. 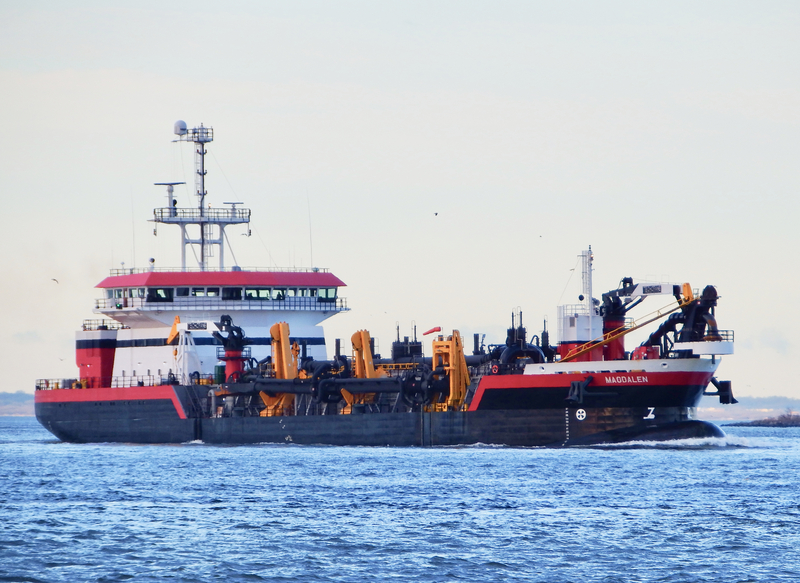 A similar type TSHD featured here recently was Filippo Brunelleschi, which is significantly larger for different jobs: 465’x 90.2′ with hopper capacity of 14,750 cubic yards. 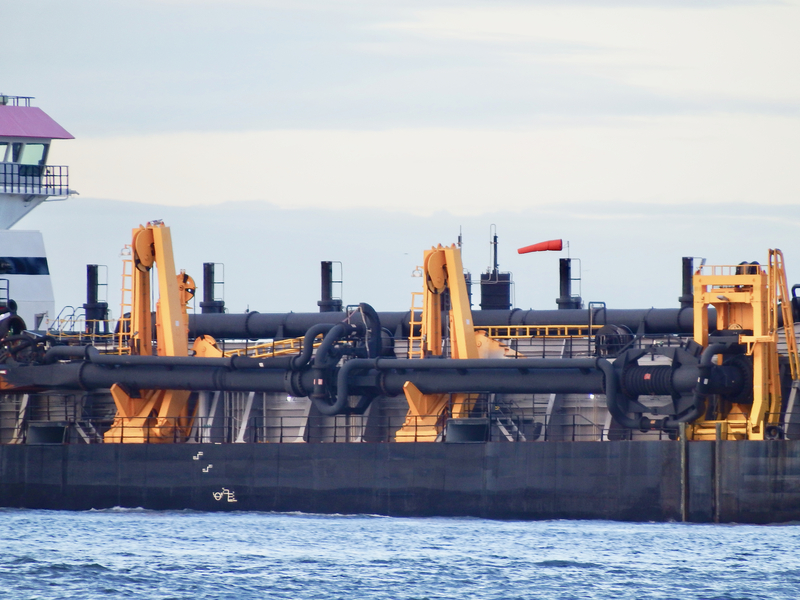 Currently the world’s largest TSHD by hopper capacity is Leiv Eiriksson, 60,165 cubic yards, with dimensions of 764′ x 134,’ currently in Tuzla, Turkey.